Want to fast track your dog obedience training ? STOP IT PULLING ON THE LEAD! I can call to your home to train your dog or you may bring the dog to me at my secure training grounds for a one hour dog training session, then return later and collect. I will demonstrate the improvements gained at the end of each dog training session. I can also teach you my dog training techniques and commands. You may book as many or few dog training sessions as you wish and a a time that suits you. Most dogs exhibit their unwanted behaviour in or around their home so a home visit is most beneficial. This will give me the opportunity to observe the dog’s environment as this often has an influence on the dog problems. I like to meet all members of the household, not only to obtain their individual opinions but that they hear my advice first hand and I may answer any questions which they have regarding the dog’s problems. I also look into the dog’s diet and advise accordingly. I will then usually observe and interact with the dog which will enable me to find the cause of the dog problems. This is usually carried out in the garden or just outside the home. If the dog problems occur in public places where the dog is usually walked then it is beneficial to go there. During this time I will explain how or why the dog problems have arisen, the cause and the chances of realistically modifying the behaviour. Any technique I utilise will be explained and taught so the owner can continue with confidence once my visit is completed. Many dog problems become deep seated so I provide a workable plan to try to overcome this problem. 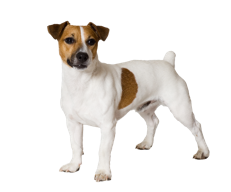 Dog behaviours are like habits and may take a little time to eradicate completely. I also supply written information along with further advice which gives a full, easy to read explanation regarding how dogs learn, why they do what they do, how they see us, how to correct a dog’s behaviour and how to train a dog quickly and successfully. 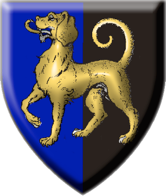 In addition I will supply twelve months telephone support and advice for any future dog problem that may arise. Most cases require one visit which usually lasts around 3-4 hours. In very deep seated dog problems it may be necessary for follow up sessions which I offer on an hourly basis. 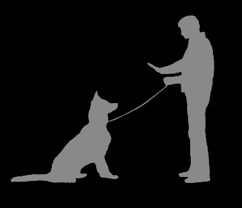 Joining dog obedience classes or dog training clubs is not for everyone. I am able to offer personal dog training for you and your dog at a time and place that suits you. Using my excel-erated learning methods I can teach you how to train a dog in a few sessions which you may never learn on dog obedience training courses. 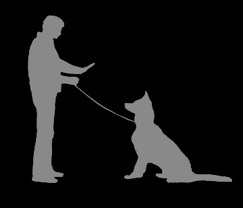 You can even select which commands you wish your dog to obey and of course stop it pulling on the lead. You may book as many or few dog training sessions as you wish. Yvonne went on to explain, “ I had a lady behaviourist call last August. She listened to all of the problems and told me I must ignore the dog when ever it misbehaves!!! She told me that the dog repeated misbehaving because it drew my attention to it. She left a video for me to watch which I found useless. I was charged £150.00 to be told to ignore my dog, what a waste of money. It left me thinking that dog behaviourists could do nothing for Merlin and I considered taking him to the rescue centre but I was told they were full up and couldn’t take any more dogs. When my son recommended you I decided to take one more chance before parting with Merlin”. with the turn around with Merlin’s behaviour. The episodes of aggression and barking have disappeared. He is a joy to take out and walks nicely by her side. * Do they have professional accredited dog psychology and behaviour training qualifications ? 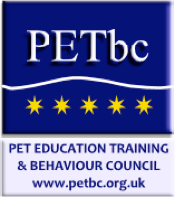 * Is the dog behaviourist recommended by vets ? * Are they recommended by dog owners who have used their services? * Do they offer advice and provide a practical demonstration with your dog ? * Do they use kind and balanced dog training methods ? 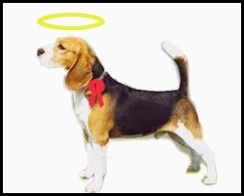 * Is there a positive change in the behaviour of the dog when the behaviourist is present ? 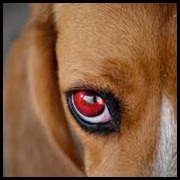 * Do they demonstrate a method to alter the dog’s behaviour that you can see for yourself ? * Can the dog behaviourist expertly handle the dog in all situations whether aggressive or fearful ? * Does the dog behaviourist include free follow up advice service for twelve months after their visit ? *Do they accept various payment methods such as cash/cheques/debit-credit cards, Paypal? *Are they authorised to qualify their charges through selected Pet Insurance. * Most Pet Insurance Companys pay for my services, ask me for details.